This picture of Dunnator Castle was taken in 2005. Family and friends went on a trip of Scottish Highlands right after my graduation ceremony. I have been to Scotland atleast 3 times to date but every time I visit, I love it even more. There’s always something to see. For me, it is truly Heaven on Earth. This entry was posted on June 16, 2008 by IdliDosa. It was filed under Architecture, Castles, Places, Travel and was tagged with aberdeen, aberdeenshire, castle, color photography, colour photography, dunnator castle, england, great britain, holiday, photo, photo blogging, photoblog, photography, picture, scotland, scottish highlands, tourism, united kingdom, vacation, wordpress, wordpress photo blog. This is fairytale beautiful. I love the glow of the water in the background. 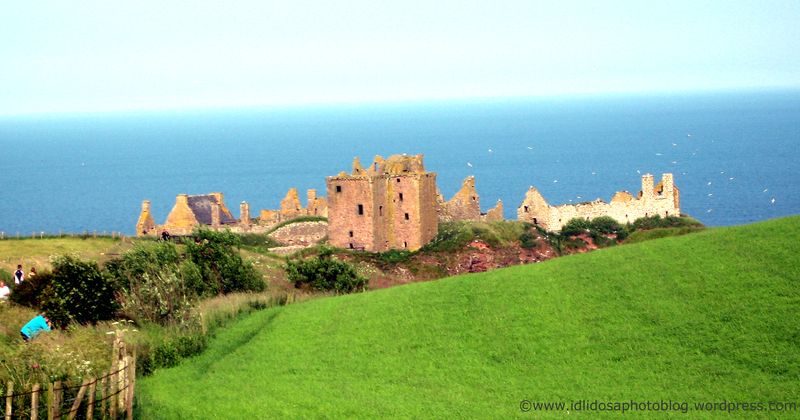 Just to assist you getting your photos to more people could I point out that the Castle is spelt DUNNOTTAR. Great place indeed…I was at the castle in late January 2009 and was just in awe. Then to my amazement while watching the Super Bowl I saw a Budweiser beer ad that was shot at the very site. Fantastic! The family seat and birthplace of my early relatives is certainly spectacular. Visited first in 1974 with my son, and later took my grandson to see his family lore in 2005.